Sage 50 Network Installation Manager offers a streamlined process to help users install Sage 50 over a network of computers. It makes your installation process quick, easy, and less prone to user errors. It obligates the need to use the installation CD while installing Sage 50 on different network computers and removes many other network installation steps that were performed to install previous versions of Sage 50 accounting software. Let’s take a look at how Sage 50 Network Installation Manager works. Double-click on Sage50_2015.exe file and click Install. Click Yes to on the message screen to automatically let Sage 50 set your firewall. Alternatively, you can also manually configure your firewall. In case you receive a warning message from your firewall software during install, select Allow or Unblock. Now enter the serial number has been sent to you in your email. On the Network window, select Yes to run Sage 50 on a single computer. Select the program files location. This must be a local drive (usually C or D). Now click Install to install Sage 50. Once you have finished installing Sage 50 on the server computer, you’ll be provided with options on the summary screen to use network manager to install Sage 50 on remaining computers. Check the option box and click Install. Your Sage 50 software will be installed on the network server. In the background Sage will also create a copy of the installation files on a shared folder on the server. In addition to the installation files, Sage will also add a client installation file that will help automate the installation process on each network computer. At the end of the process, you will receive a text file that will contain the location of the installation folder on the server along with the instructions on how to use it to install Sage 50 on other workstations. Since the installation file has been copied on the server, you would no longer need the installation CD to perform Sage 50 installation. Now from the next workstation, open the folder where Sage 50 installation file has been saved and run the client installation file. Once the installation process starts on this computer, you can move to the next workstation to start the installation process, without the need to wait for the process to finish on one computer. This way, with the help of Network Installation Manager, you can simultaneously install Sage 50 on multiple computers, something that was not allowed earlier. 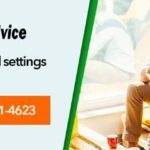 In case you need help while using Network Installation Manager to install Sage 50 accounting software, expert tech support is just a call away. Get in touch with our expert technicians and we can download, install, and upgrade your Sage 50 accounting software on a network of computers so that you can focus on things important for your business. 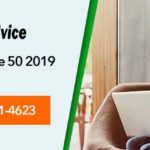 With a team of well trained and expert professionals, who have years of experience in troubleshooting issues related to Sage 50 software, we are best in business. 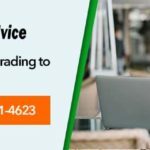 We can help you quickly fix all issues related to your computer in the minimum wait time possible. Whether you want to install a new Sage 50 software or upgrade the existing one, technicians at accountingadvice.co are available round-the-clock to help you make the most of technology at the comfort of your home or office. 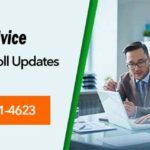 Call us today by dialing our toll free number 1800-961-4623 to get in touch with a Sage professional and get comprehensive support for your Sage accounting software.